In the fast-paced, always changing world that we live in today, it can seem as though the past is long gone and will never return. Everyone wants to own the new, fancy items with no thought of anything outdated. The idiom “keeping up with the Joneses” has become common as the standard in America. People go to large commercial chain stores to purchase the highest quality items that are available, without ever thinking about how this affects small, local businesses in the area. Downtown was once the place to be in Stevens Point, and it may become that again one day. For now, downtown is in a survival stage for businesses. Downtown Stevens Point was once a thriving location with all types of stores and restaurants, an overall fantastic place to go. As businesses moved out of the CenterPoint MarketPlace, local businesses hoped for more people to visit their stores, instead of the large stores that previously occupied the mall. In the downtown area, there were multiple shops including dime shops, clothing boutiques, a bowling alley, cafes, a car dealership, pharmacies, groceries, and stores specializing in sporting goods, hardware, music, jewelry, furniture, and hobbies. Shopko was one of the very few commercial chain stores left when the mall closed. It was a location for people living downtown to shop. With the closing of Shopko, many individuals are concerned about where they will now shop, but most seem to forget that local shops with a variety of purposes exist. When individuals in the area think about downtown, they might think about stores that have closed. Stores come and go for various reasons: shop owners retire, a lack of business may occur, or owners might find a different calling in life. Shops that have thrived throughout the years downtown include Divepoint SCUBA, Grubba Jewelers, The Companion Shop, and Gepetto’s Workshop. These businesses have seen the growth and decreasing of the downtown area. 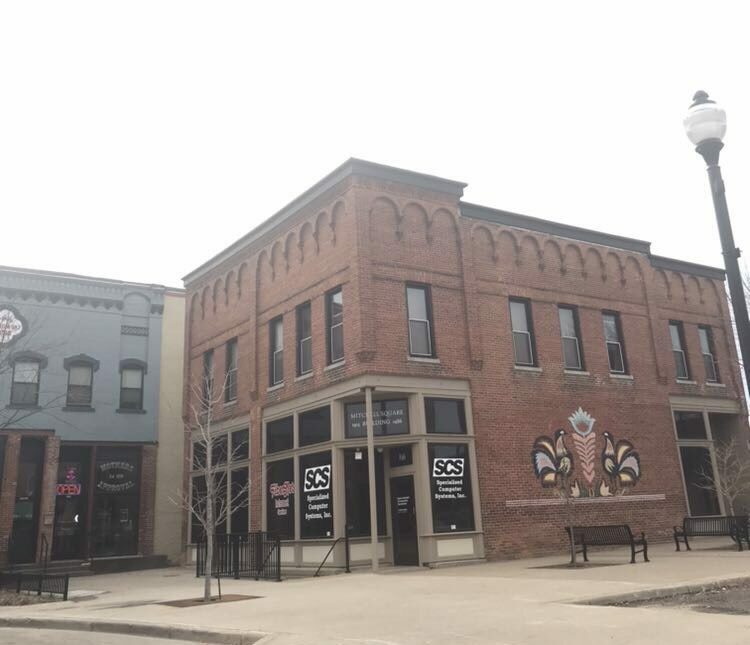 Stevens Point has created opportunities for growth downtown. The market in the square started up in hopes to create business downtown. This has been successful overall. “The pharmacy will be very beneficial because people will still be able to walk to it. It will be more convenient than having to drive to Walmart or Walgreens. A lot of people are going to miss Shopko and the pharmacy,” Meronek said. Other events that highlight downtown include the Wine Walk, children’s library days where play productions, arts and crafts, and story readings occur weekly, the annual Sidewalk Sale, various music events, and art shows. On Water Street and Second Street, two apartment complexes will be built to add more housing, and customers, to the area. This is a really nice article because it not only flows well but it also includes information about the downtown area that almost everyone has grown up knowing. I hope that those small shops downtown now have a greater chance at thriving! Thank you for bringing attention to the downtown. I love it there. Whenever friends or family from a different town visits I bring them downtown because its a really nice place to be. All of the store are unique and friendly and every once in a while you’ll meet a local drug addict or maybe even roger so its always an adventure. Great job writing your article!